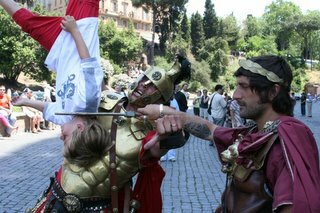 Before we moved to Sweden we spent about three weeks in Italy dividing our time between Rome and Umbria. The photo of Karl being assailed by Roman soliders was taken outside the Colosseo. 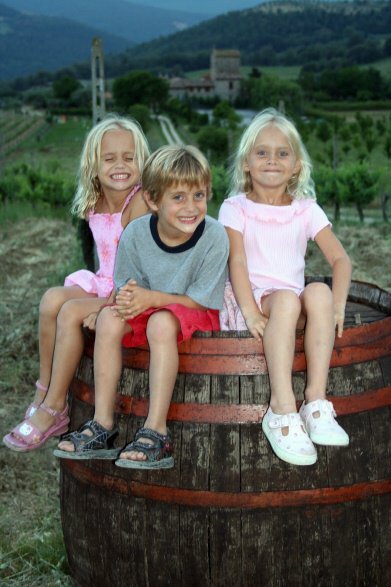 The photo of the kids on the barrel was taken near Todi in Umbria. 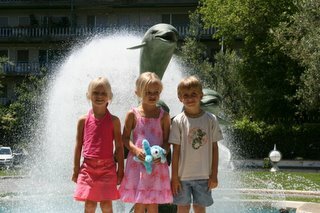 The kids and the dolphin was in front of our hotel and is most notable for the small blue dog Erika is holding. The dog accompanied us throughout the trip though he has since fallen from favor. The most amusing part of this cultural odyssey was the kids response to the question: "What was the best part of the trip?" Their answer: "The pool".